Visitors who are looking for a truly hands on experience are sure to love this museum which is conveniently located just a minute’s walk from the Karasuma Oike station. Opened in 2006, the Kyoto International Manga Museum celebrates the art of Japanese animation and is home to over 300,000 comics. Covering three floors as well as a basement, the walls of this museum are lined with manga and visitors here can browse through the enormous collection of works. 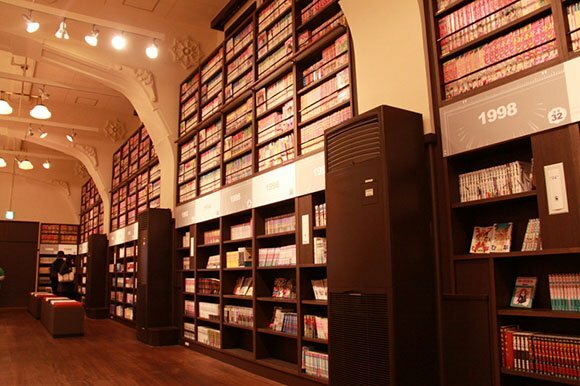 While most is in the Japanese language, there is a section which is dedicated to translated and foreign Manga, and fans of the art can read their favorite works either indoors or in the outdoor cafe. As well as showcasing the huge collection of Manga, this museum also places a strong focus on the development and adoption of this artform around the world. International manga artists also have their work featured here and there are regular events held here involving foreign artists. The International Manga Museum houses temporary exhibitions on a variety of themes as well as its permanent collection, and as the building was once a school, there are also some artefacts from its earlier use on display for visitors to see.